Original beach cottage owned by the famed choreographer Jerome Robbins now offered for the first time in 40 years. On a prime acre with 118 feet directly on the beach and waterviews of the ocean & Mecox Bay from every room, the 2 bedroom/2.5 bath house has wraparound decks, massive stone fireplace, 45 ft pool, and a private path to the beach. Zoning would allow an approx 6,000+ sq. ft. new dwelling. 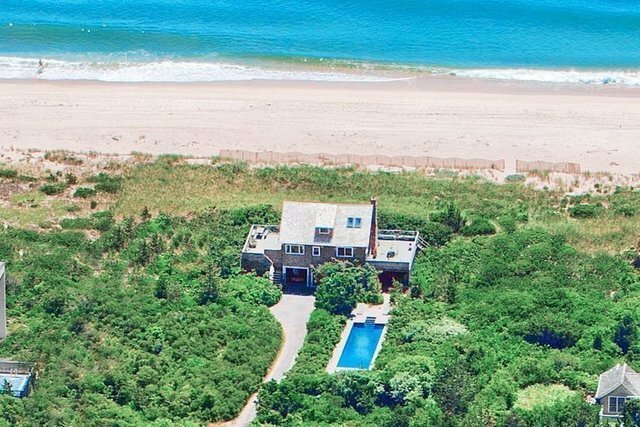 Superb private location far from the public beach access. New to the market, current survey available. Proceeds of the sale will benefit the Jerome Robbins Foundation to support the performing arts.